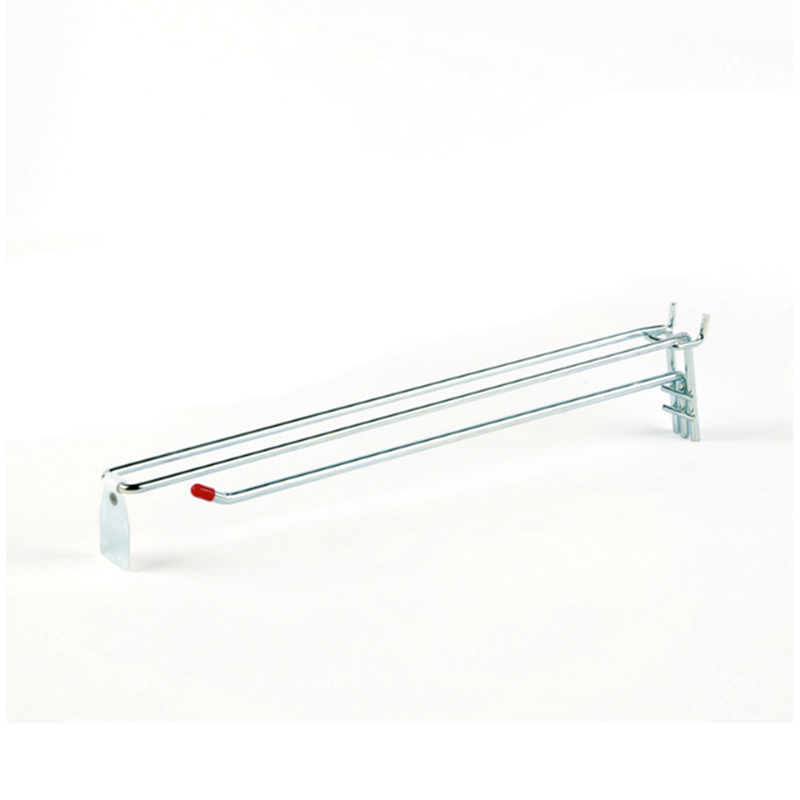 Heavy duty single hook complete with white plastic Epos ticket. Fits 25mm centre peg metal board. Bulk packed. Zinc.